A mine needs to run economically and safely if it is going to maintain a successful operation. It is a fast-moving business with unpredictable commodity prices, diminishing workforce and environmental concerns. A mining company needs good productivity from all their assets. This means that they must prevent breakdowns as much as possible. Unplanned downtime can lead to expensive repairs and replacements, which can result in slowed production, safety concerns and reduced profit margins. This is why having an experienced maintenance team is vital to help keep the mines running smoothly. Current understanding of technology. As part of the maintenance team, you will be provided with the tools to keep equipment running. You need to have insight, and data knowledge, to effectively keep all equipment intact and identify emerging mechanical problems. Also, you must be up to date on diagnostic equipment, which uses predictive maintenance software and sensors. High risk of danger. Mining jobs come with high risk of danger that is mainly associated with the heavy mining and transportation equipment. On average, five to ten percent of people who work in the mining maintenance profession will experience serious injuries. While on the job, you must be prepared, both mentally and physically, for an unexpected accident. Potential for long work hours. 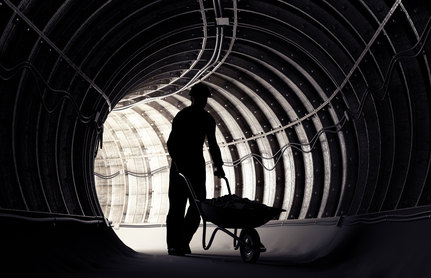 Since mining is an around the clock industry, you must be prepared to work irregular shifts. Although you are most likely to be employed on a normal eight hour shift, you must be prepared to put in longer hours if needed. Passionate about the profession. Applying for a mining maintenance profession solely for financial gain and benefits would be a mistake. Not demonstrating an in-depth interest in the job could be problematic if you apply, because you would be prone to burning-out, and being unmotivated. Tailor your resume for the position. Ensuring your curriculum vitae (CV) is professional, showcases your experience, achievements and skillsets. You should do your best to understand what each individual company is looking for, so you can tailor your CV to meet their requirements and expectations. Have a long-term career goal. It is crucial that you research the mining company that you wish to work for. Mining companies typically look for employees who have long-term career goals, because it shows dedication, perseverance and passion. Earn experience. Without any experience, the chance of getting your desired position in the mining industry is low. What you can do to increase your chances is gain some experience through temporary work for smaller local companies. After gaining at least two years of entry-level experience, your application will stand out when applying with large mining companies.